This tray can hold 24 Cavalry sized models. 4 inch thick tray. 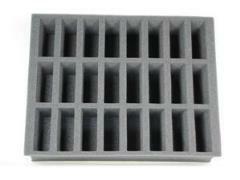 Tray Dimensions: 15.5W x 12L x 4H.